What is really worse? Being the one who dies? Or the one who keeps on living? Warrant Officer Jan Magson, of the South African Police Service, looks down at the decomposing body of a teenage girl. She was tortured and hanged, and she wasn’t the first. Trapped in a dark place following his wife’s death after a battle with cancer, the pursuit of a serial killer who will not stop threatens to suffocate Magson. While the killer fantasizes about his next victim, Magson nurtures his own dark fantasies, his service pistol in his hand. The warm feeling of satisfaction. Following that slow sigh when you close a book that you really enjoyed. I live in South Africa and that is where my stories are set, so DARK TRACES offers a location not too frequently seen in international crime fiction, an often strange hybrid of first and third world. 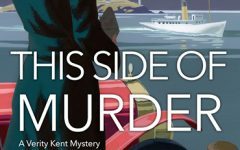 I’m a big fan of true crime and that is how I approach my fiction, aiming for realism. So I spoke to a number of detectives and forensic experts in order to portray an authentic South African police investigation. Similarly, the main character, Warrant Officer Jan Magson, is just a normal detective trying to catch a killer while dealing with the loss of his wife. I was pleased to discover some of the facilities and technology the South African Police Service has at its disposal, such as a pretty high-tech forensic laboratory just outside Cape Town. Unfortunately, there are only a few labs chipping away at a significant backlog and they don’t have a vast array of databases. That first/third world mix. The interrogation room at the Serious Violent Crimes Unit really surprised me, since it contained a glass table. This seemed a very strange choice at first, but it allows the detective to observe the suspect’s entire body. I love these kinds of details. I started reading in earnest as a teenager after I borrowed Stephen King’s The Dark Half from the Municipal Library. His books were magic and soon I wanted to wield that magic myself, so I began writing my own stories, horror at first, but later evolving to crime as I discovered serial killers and profiling. By then the dream was fully formed and today I am thrilled and deeply grateful to be living it. Martin Steyn got into writing because of Stephen King. 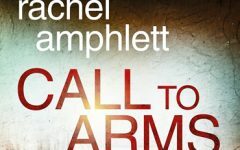 A few years later, serial killers got him into crime writing. Fascinated by how these men came to hunt strangers for pleasure, Steyn began reading books about Jeffrey Dahmer and Andrei Chikatilo, while scanning the local paper for reports on the serial killer dumping the bodies of young boys in the dunes a mere 30 km from Steyn’s home. After obtaining degrees in psychology and criminology, he studied serial killers and profiling in earnest, following it up with research into the investigation of violent crime in South Africa. 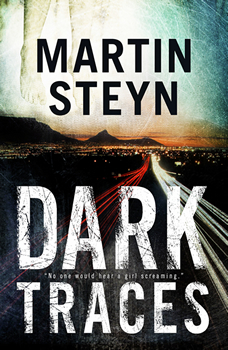 In 2014 Steyn’s first crime novel, Donker Spoor, was published in Afrikaans. The next year it was awarded the ATKV’s “Woordveertjie” for Suspense Fiction. He translated it into English as DARK TRACES, published in 2017 by LAPA Publishers and Catalyst Press. Steyn places a premium on realism and when not behind his PC, can often be found questioning a detective or forensic expert, a constant reminder that it is normal people who fight to get justice for those whose final chapter ends up being written in a murder docket. He lives near Cape Town, South Africa, where his novels are set. 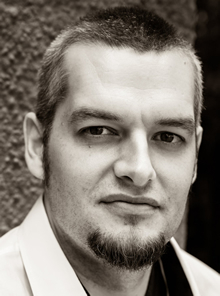 To learn more about Martin Steyn, please visit his website.